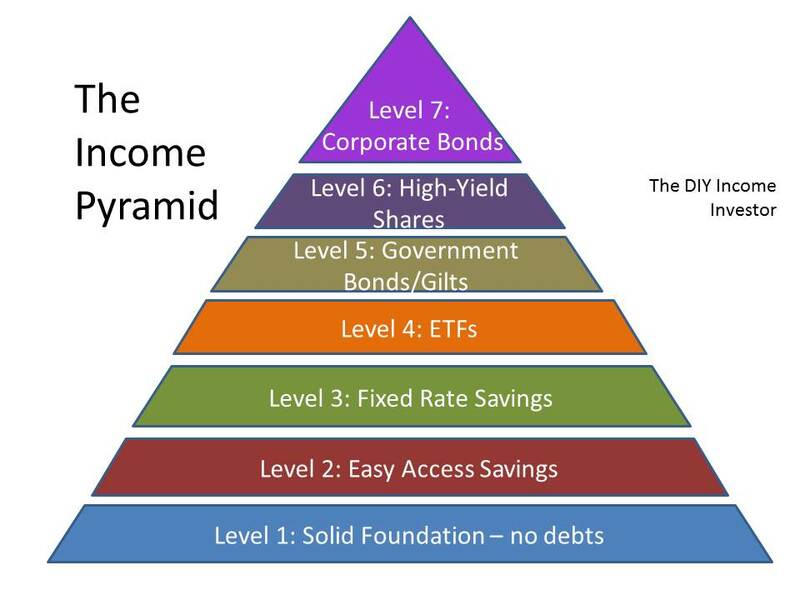 Developing the theme of the The DIY Income Investor, we finish building up your Income Pyramid by moving up to Level 5 - buying high-yield dividend shares, preferably within a tax-shielded Internet brokerage account. What are High-Yield Dividend Shares? I guess you know what shares are...? High-yield refers to the return on the share in the form of a dividend - the (usually) twice-yearly share of company profits paid to shareholders. The dividend yield is the ratio of the annual dividend payments over the current share price. Normally 'high-yield' would be a dividend yield of anything above around 3.5%. The DIY Income Investor approach is based on minimising risks (as far as possible) - so we suggest you do not engage in currency speculation - buy shares in your own currency (this will usually means shares issued on a stock market in your home country). For the potential pitfalls of foreign dividend shares for a UK investor see here. A collection of selected high-yield dividend shares forms a High-Yield Portfolio (HYP). Of course, a HYP should be built up inside a tax-exempt wrapper (like an ISA or SIPP in the UK or an IRA or 401(k) in the US). Why buy high-yield dividend shares? Well, primarily for the dividend, which you can reasonably expect to grow over time, as companies flourish and increase the dividend paid per share. But also for capital growth, as a lot of research has shown that - on average, and over time - shares that pay dividends generally also have share price growth (i.e. 'capital growth') in excess of shares that do not pay dividends..
How risky are high-yield dividend shares? How do I buy High-Yield Dividend Shares? You will need a brokerage account (preferably tax-exempt or tax-shielded and operated through the Internet) - all the accounts will deal in the shares of larger companies, although you should obviously check which are included before you sign up. How do I know which shares to buy? It is pretty comprehensive and there is not much I could add! 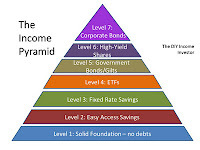 The principles are similar for a US-based portfolio. Once you have worked your way through the guide, you should be ready to start picking HYP shares.